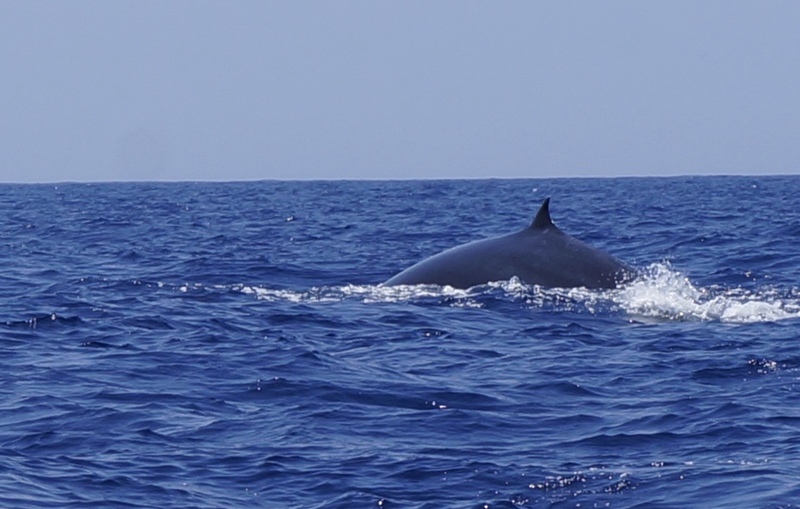 On the second day of whale watching we found a Bryde's whale. It was pretty calm and just amazing to see. Bryde's whales are smaller than Blue whales and you can tell the difference because the dorsal fin is less "pointy." The encounter was incredible. The research aspect of this trip is interesting. In the photo below you can see our guide (Patrick Dykstra) with a "hydro phone." He places it in the water to listen for whales or dolphins. With this tool he has learned that Blue whales have a sort of "song" and Sperm whales communicate with a clicking noise. We stayed at the Weligama Bay Resort (please note that there is heavy construction next door that has been going on for three years so I would recommend waiting for it to be completed before booking with this place) and Sunday afternoon I went out with a body board. While I wasn't really able to catch a wave, I brought my GoPro out and videoed the attempts. They aren't worth posting here but I love the smile in this picture - happy to experience new things.